Properly installing a wall safe is not as difficult as it may seem. However, it is extremely important that you do it correctly. Failure to do so will result in an easy target for a burglar during a home invasion and will have them ripping it out your wall fairly easily. Not installing the wall safe properly completely negates the whole idea behind wall safes which is to secure it in the wall making it incredibly difficult to walk away with. It is not rocket science when you are installing wall safe, but it is important that you pay attention to the details and pick a good spot in your wall to install the wall safe. We will be going over the best places to put a wall safe. If you’re unsure which wall safe to go with we recommend that you check out this article here and read all about the wall safes that will be a great fit for your home. One of the main things to protect your wall safe in the valuables that it holds is properly deciding where in your house you are going to put it. We strongly recommend that you take a look at a couple different spots and decide which one will be less likely noticed by any kind of visitors or home intruders. We say visitors because not everybody that comes to your home, whether it’s just a simple salesman or somebody else has good intentions. Should they be able to locate your safe within the first visit, that immediately negates the best protection for any safe which is the intruders not knowing where it is. Not only that but using a strong wall is a crucial. You’re not going to be putting a wall safe in a wall that can be accessed from both sides. You are going to want to choose something that is probably behind a piece of furniture or around the corner. This will allow extra stability and security, and will make sure that any possible intruders will have a very difficult time accessing the safe. 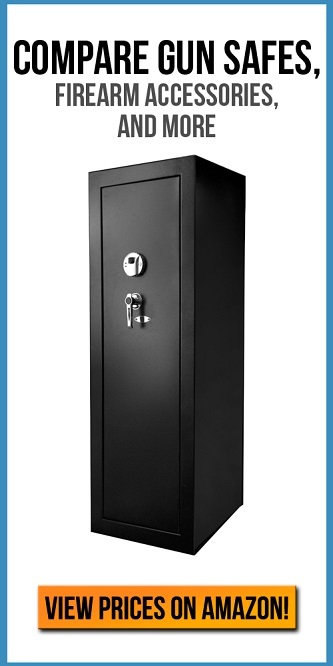 If you are looking for a quick access type of wall safe, then we strongly recommend that instead of buying one of those you instead by a quick access home safe. Make sure the spot that you are deciding on is big enough to accommodate the safes. By finding the studs in the wall using a simple stud finder tool, you will be of the determine how large of a safe you can install in that given wall. This is an extremely important step because if you buy a safe that cannot fit in your wall or one that is too small, it is immediately useless to you and you will have to return it. It is just better off if you avoid it and take care of these proper precautions in the early stages. Now that you have located the studs in your wall and marked where they are with the light pencil mark, it is time that you now cut a small hole in the wall. Do not immediately full-size hole in the wall. Cutting a small spot within your chosen spot in the wall will allow you to locate any kind of potential obstacles that need to overcome. Also, if the spot in the wall that you have chosen turns out to be a dud, then you only have to deal with a small cut in the wall and not a large hole. Most homes have drywall which is very easy to cut through, you really only need an X-Acto blade. Be very careful that you do not touch any live wires and that you locate any possible dangers inside of the wall. All you have to do for this is shine a flashlight inside of the wall to find any kind of danger. Now that you make sure there are no obstacles in the way, you can now measure out the size of the cut you will need in the wall to accommodate your new safe. Simply slide the safe into the wall and if you’ve done everything correctly up until this point, it will sit in the wall snug and will be secure. Never forget to drill in the wall safe and anchor it. This is the main factor into preventing theft and easy takeaways for any kind of burglar. Last but not least, if you have zero experience in regards to carpentry for any kind of home maintenance we strongly suggest that you contact a professional rather than doing it yourself. Cutting finger holes in your wall is a big commitment, and if you make a mistake, you are stuck with it. Avoid this by hiring a professional.